Right at the end of August, my best friend Elena treated me to a Saturday brunch for my birthday. I've had "Caesar at Colette" on my list of things to do ever since I stumbled across their Instagram page, so we decided to make it happen. 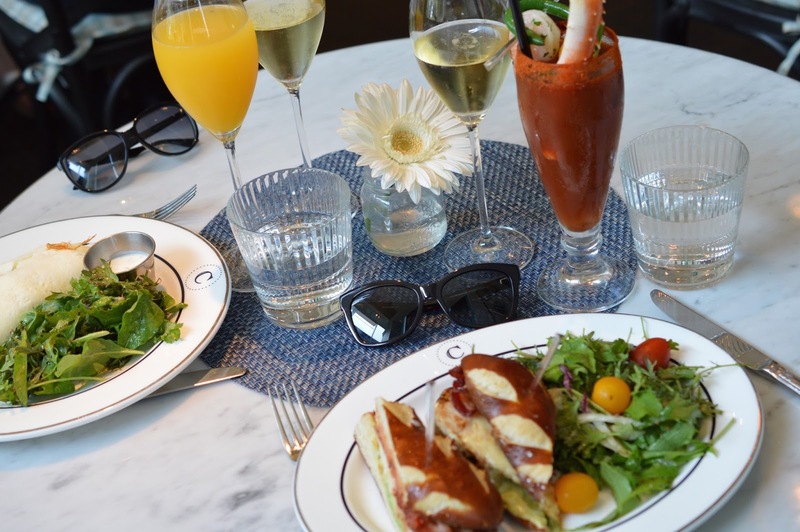 Brunching at Colette was a great experience through and through, since they made us feel like no request was out of reach. 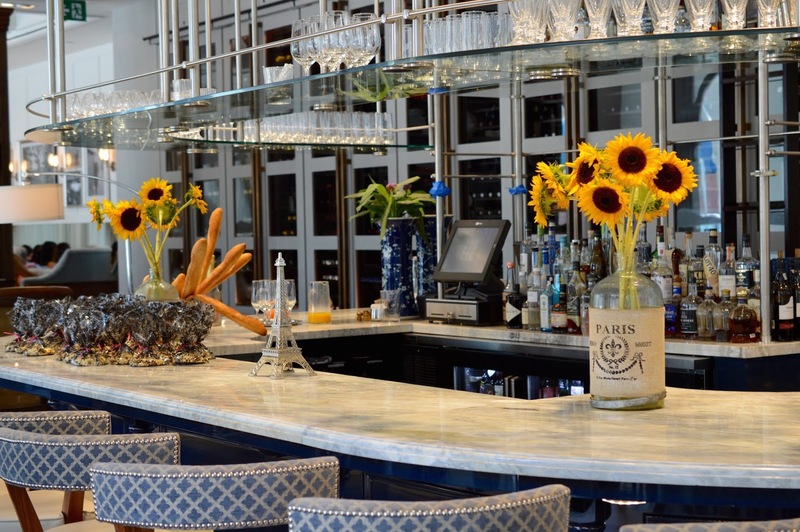 Located at Portland and Wellington, Colette just celebrated its one year anniversary. 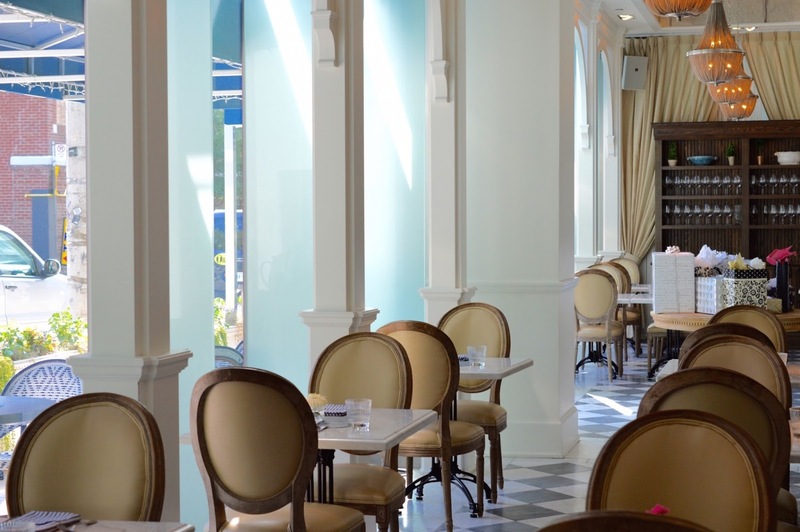 This venue is managed by The Chase Hospitality Group, which means that your call will always be answered, and fancy events are often occupying the stunning French dining room. 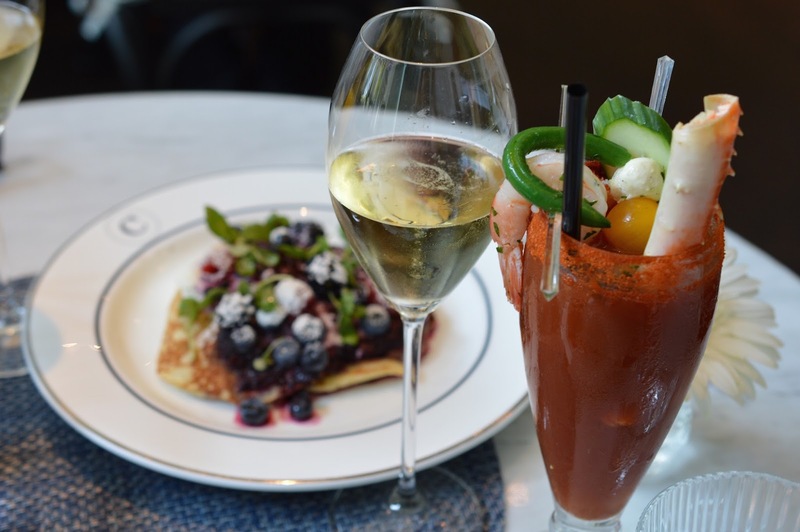 Located at Bathurst and Wellington, Colette Grand Café is well known for its exquisite Sunday brunch. Though the all-you-can-eat buffet was tempting, we went on a Saturday afternoon and ordered off their breakfast-lunch menu. We enjoyed a variety of superb food and drinks for a reasonable price. 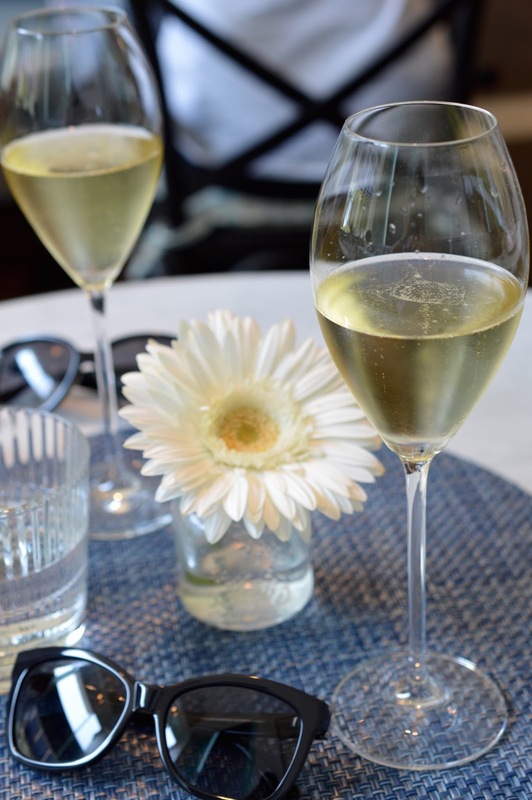 Upon arrival, Tom, the General Manager, brought us two glasses of birthday bubbly to enjoy. We ordered a mimosa and caesar, along with three menu options to share - an omelette with cheese and greens, the turkey sandwich, and pancakes with berries. The pancakes were amazing, complete with fresh berries and ricotta cheese. The presentation at Colette is beautiful, and my caesar was almost as elaborate as their recent Instagram. 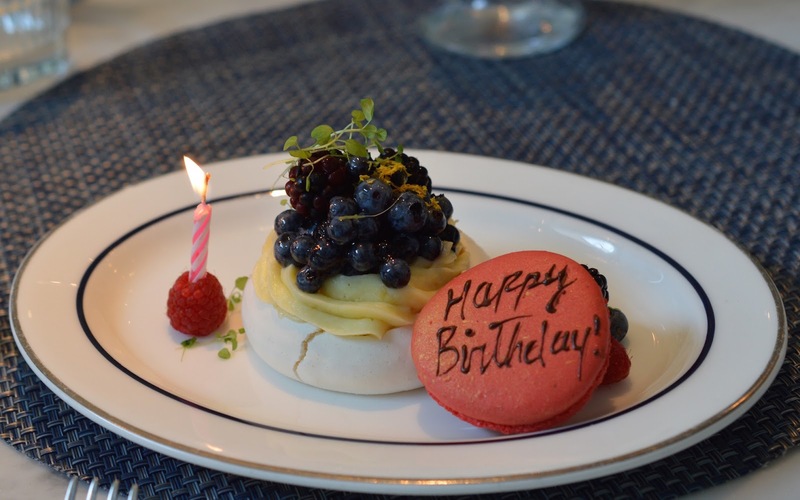 We took our sweet time to enjoy all of the well-crafted dishes, and it was such a lovely surprise to get a birthday dessert when we were finished. The servers were so genuine, and despite being busy, they even stop to have a quick chat with us. 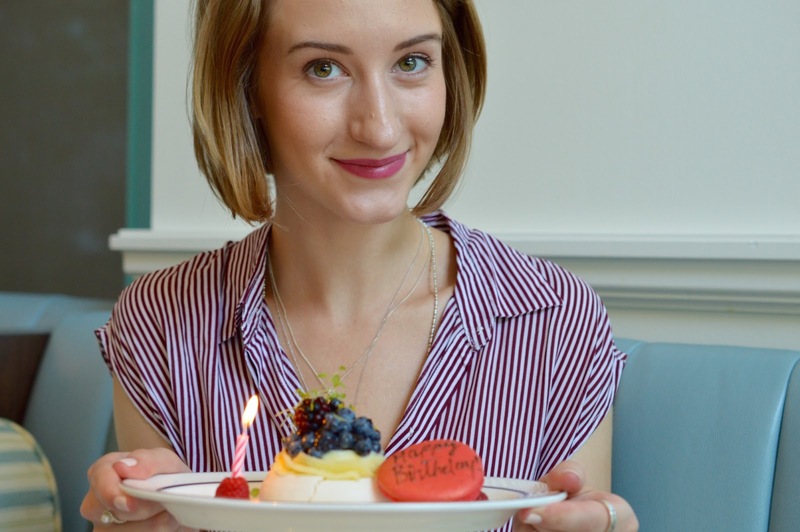 Our final dessert was a vanilla meringue topped with lemon mousse and Ontario blueberries, which came with a hand-written birthday card. It was just lovely. 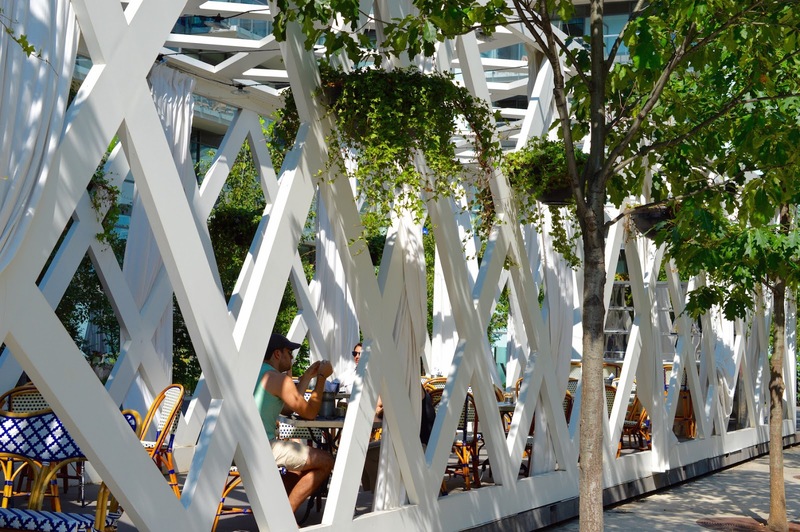 The outdoor terrace is part of their classic French café, and provides the most picturesque shady space for catching up with a friend or doing some work. The decor is perfect, with woven bistro chairs and checkered table cloths. I can't wait to go back to Colette Grand Café, and be transported to the streets of Paris walking into their boulangerie/patisserie. Because a macaron and baguette, are always necessary.